There’s a lot to be proud of here! 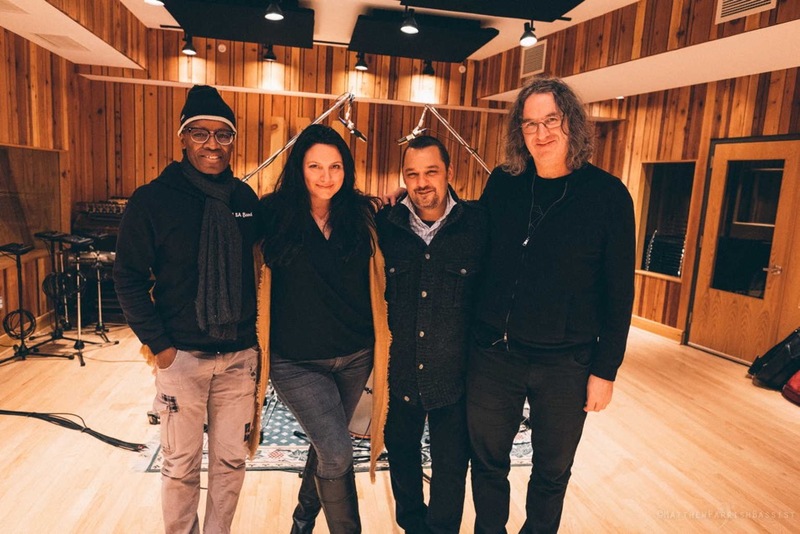 In her latest recording, Michelle Lordi weaves jazz and country into a powerful, open landscape of her perfect, boundless melodies over a course of original and cover works. Michelle’s singing is brave, honest and full of heart. She approached me about creating this special work, knowing that I would give my all as the Musical Director, Producer, Bassist, and Arranger for many of the tunes. The collection has an Americana feeling - with simple, truthful craftsmanship from Michelle and her band giving way to a powerful musical production. With Rudy Royston as our drummer, I lock in with him like a dovetailed joint to anchor the group. Rudy’s deep understanding of the music is apparent and his playing gives way to dramatic arches in some of the pieces, where the band just went to a musical destination freely, without knowing it until they were there. Supporting that mood is guitar master, Tim Motzer, a spiritual, seasoned painter of acoustical pictures - from fiery storms to peaceful, quiet expanses of sky. Add the saxophone creative bursts by Donny McCaslin and the group is complete. Donny worked with David Bowie on ‘Blackstar’ ink 2016 before anyone knew this outspoken work would be Bowie’s last musical expression of his well-earned freedom as an artist. Donny embodies that free, artistic expression, but he knows just what to color each musical landscape, and he has just the right energy level queued for each piece. There’s a lot to be proud of here for the entire band, but the goal is to reach a vast audience by pouring the band’s heart, soul AND craft into this once-in-a-lifetime effort.